Our Trailmaker 19 Inch Backpack measures 19 x 13 x 7. With two mesh side pockets and two additional quick access storage pockets, these wholesale backpacks are great for water bottles or cans. The large compartments have double zippers making for easily opening and transporting your school supplies. 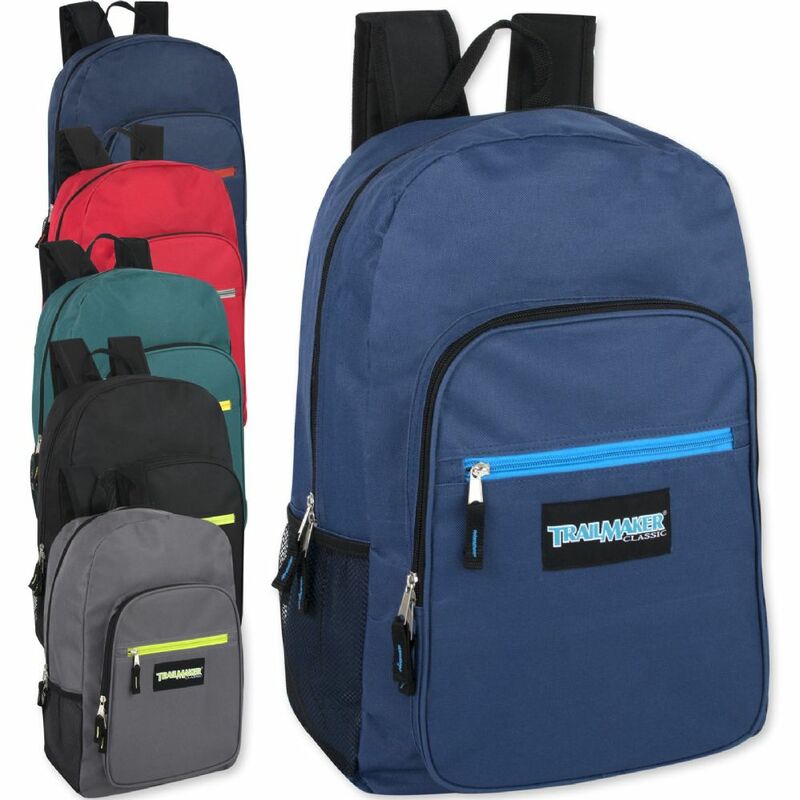 Padded and adjustable straps ensure comfort when purchasing these backpacks in bulk.